Are you looking for top quality Pool Repairs in Dallas, Texas? Is you beautiful pool overdue a repair check this year? Texan Blue Pool Service is the best option for you taking care of all pool areas including the floor, sidewalls, outer deck or any of the equipment repair that might not be working up to standard from constant usage. We have been serving the Dallas region with our superior quality Pool Repair Dallas services are making pools look, feel and perform good as new is our top priority in the region. Whether you need some pool tiles repair, replacement or you are looking for high quality pool equipment repair, we offer affordable services in Dallas that make you and your guests enjoy that beautiful pool to its full extant. We also help our clients re-design their pools or the pool decks laying out new floors for them or making the old one look as good as a new installation as well. Call us now and book your perfect Pool Repair Service in Dallas TX while pay very affordable prices for our services at the same time. Need High Quality Pool Equipment Repair? Any high quality pool in Dallas has a large number of equipment that keep it running good as new. Being hardware equipment based apparatus; these can lose their full functionality from time to time. Texan Blue Pool Service helps you get your pool equipment back to full functionality efficiently. Do you need high quality Vacuum Ports repairs? Are you looking for Pool drain repairs to maintain water levels automatically? Are you water pump and motors working efficiently? 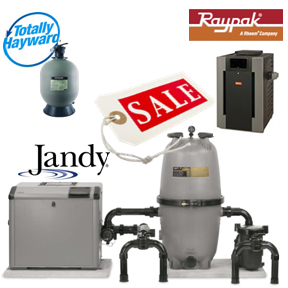 Do you need water heater repairs to warm your pool water efficiently? Are your water filtration systems broken, damaged or require repairs? Pools are generally made to look good with pool tiles. These tiles often constitute the full pool floor, sidewalls and also the pool deck area covering almost the entire visible or actionable surface area. Are any of your pool tiles cracked, broken or fallen off? Is your pool looking substandard because of missing tiles in any of its areas? Do you need affordable pool tile repairs in Dallas, Texas? Texan Blue Pool Service is the best option for you repairing all your broken, damage or fallen off tiles efficiently. We ensure to keep budgets as low as possible for our clients putting back any tiles that are still in one piece and can be worked with from where they fell off and using affordable tile repair and replacement techniques that get everything looking good as new at very affordable costs. If you need to form a new tile patter by replacing a portion of your tiles with new ones, we will get that done for you efficiently as well. We aim to provide satisfactory Pool Repair Dallas services that solve all our client’s problems efficiently and provide long term fixes at the same time. Leaking pools are actually more common than you might think. Quite often a pool has been leaking for a long time without its owners even realizing that it has been so. A small crack in any of your pool tiles can leak substantial amount of water continuously into the surface below that can accumulate to large proportions eventually becoming a big problem. Texan Blue Pool Service has got you covered with this one as well; our highly skilled team members perform an underwater detail check of all tiles looking for possible leaks. When you have an empty pool, a very detail check can be performed, however, even when you are suspicious about a leak when you have just filled the pool with water and all the required chemicals, you need not to worry. We have supportive high-powered underwater lights that lead us to any leaks that your pool might have developed while examining it in inch perfect detail. Our high quality Dallas Pool Repair service not only identifies any possible leaks regardless of how minute they might be but we also repair them with longest lasting underwater sealants or by doing a tile replacement providing a permanent fix. Looking for a Complete Pool Re-Do in Dallas? Are you planning a complete pool re-design in Dallas, TX? Texan Blue Pool Service can help you pick the right design up and implement it in your beautiful pool effortlessly. Even if your pool re-design requires a lot of tiles to be replaced or any additional fixture to be placed inside or outside the pool, our high quality Pool Repair Dallas service gets everything done for you efficiently and quickly. Winter is often the best time to get your pool re-design underway as the pools are not used much at that time of the year. We are available all year, any day and any time in Dallas, TX offering on-point pool repair services that will also provide your old pool that fresh breath of new design making it attractive and enjoyable for you again. Some pool equipment, tiles or fixtures can just stop functioning to their full potential or you can have a leak in you pool at any un-expected times. When this happens in the middle of summer, chances are you are going to require speedy quick pool repair in Dallas. Texan Blue Pool Service is just the right choice for you with 24/7 availability and much efficient and quick repairs for your pool. Whether you need equipment requires or need to get that unfortunate pool leak fixed, our experts in Dallas, TX will reach your pool in no time at all with all the tools required to complete the job quickly. Usually we offer same day visits provided you call us early enough in the day with very short repair times, a next day appointment is pretty much guaranteed fixing your pool any which way that you may require. Are you looking for highest quality pool repairs in Dallas, Texas and yet wish to pay the most affordable prices for the service? Texan Blue Pool Service is the right choice for you. Having served the market for many years fixing and repairing pools with any issues that might be there, we have gained all the experience and skill set required to perform highest quality pool repairs in the region. We also repair and fix all pool issues including equipment problems, surface tile issues, underlining layers leaks and also help our clients with re-designing their pools at affordable prices finishing their jobs in quickest possible times in the industry.